The first thing to think about before you start getting ready to apply for an FHA mortgage to refinance and remodel is how old your current mortgage loan is. The longer you have been making payments, the more buying power you might have with a new loan. August 10, 2018 - There are lots of websites offering advice on how to remodel your home; borrowers who have an FHA mortgage or want to refinance into an FHA mortgage should discuss their remodeling needs with a participating FHA lender; there are several options that may be right for you. What Do I Need to Consider Before Applying for an FHA Mortgage to Remodel My Home? The first thing to think about before you start getting ready to apply for an FHA mortgage to refinance and remodel is how old your current mortgage loan is; the longer you have been making payments, the more buying power you might have with a new loan. Your outstanding balance on the mortgage loan can determine how much money is available on certain types of refinance loans. An FHA cash-out refinance loan, for example, must pay off the original mortgage and then apply the remaining funds (after loan expenses are also paid) to the cash-out portion of the loan. Not all FHA loans work this way; an FHA Rehab Loan, also known as an FHA 203(k) loan can be used to refinance and remodel the property without cash back to the borrower (it goes directly for the expenses of the remodeling project including paying contractors for the labor and materials involved in the work). In the case of an FHA rehab loan, the number of payments you’ve made won’t matter in the same way it would for a cash-out refinance loan. Any refi loan in the FHA loan program that is not an FHA-to-FHA Streamline Refinance will require an appraisal to determine the current fair market value of the home. In times where property values are rising, this can be a big advantage for homeowners who have property that is more valuable now due to increasing house prices. That is an important thing to consider. If you live in a housing market where property values are on the way up in a major way, the refinance loan you get may be based on the appraisal for the current value. Then you have to decide-is an FHA cash-out refinance the more advantageous loan in these situations? Or is the FHA rehab loan the better choice? 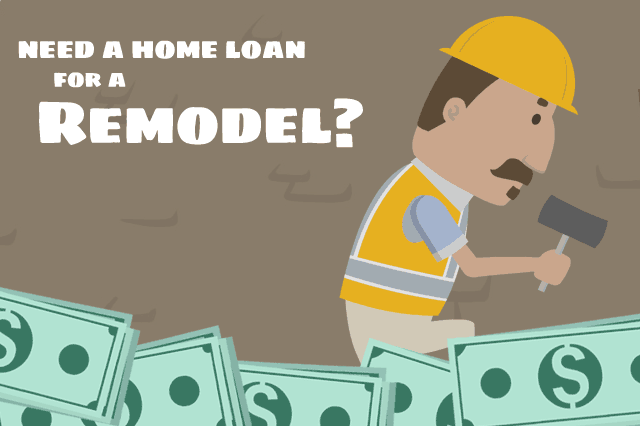 In some cases, a smaller remodeling project may not require a huge amount of money to accomplish; the Limited FHA 203(k) Rehab Loan may be a better option than completely refinancing the entire mortgage. A Limited 203(k) does not allow for major structural alterations to the home but can allow you to replace windows, doors, and upgrade the home without resorting to a massive overhaul of it. An FHA cash-out refi loan may not be appropriate for this smaller remodeling project but for borrowers who want more cash back and not necessarily for the remodeling, cash-out refinancing is an option to consider.